Competitions at Ants Inya Pants Play Centre! 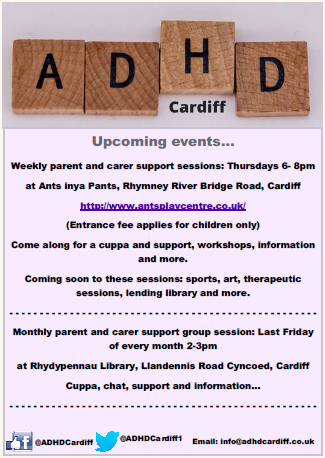 - Ants Inya Pants is currently holding sessions for children with special needs in partnership with the Thrive support group. The sessions are held on a Friday evening between 6:00-7:30pm. Thrive is a support group set up and run by parents of special needs children. It offers a protective arena where disabled children and their siblings can play in a non-judgemental, supported environment. All children are welcomed, involved, supported and viewed as equals. For more information on Thrive, visit their website here. Please call us to find out more about our events on 029 2047 2236 or Contact Us from the website.